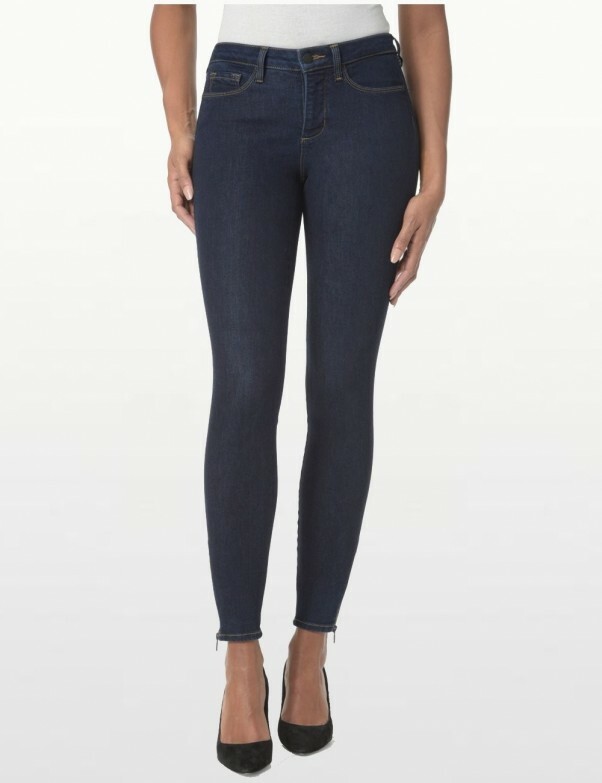 Cut to show a little ankle, NYDJ’s Dylan Skinny Ankle Jeans in Premium Denim. True mid-rise and a narrower shape - NYDJ signature Modern Edit fit together with lift and tuck technology that makes you look a full size smaller, instantly. Product Details - NYDJ Dylan Skinny Ankle Jeans finished with a zip closure.